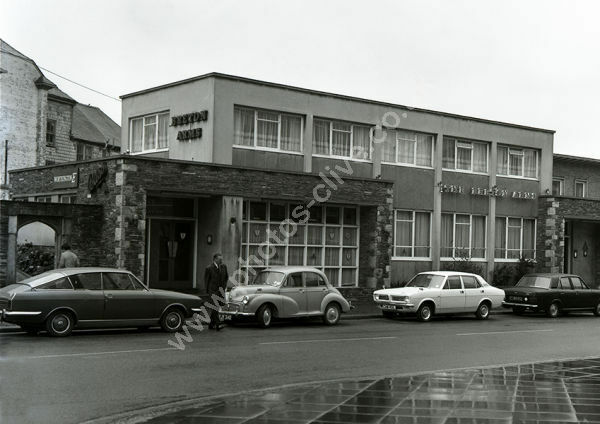 The Breton Arms in 1974 when it was a Bass Charrington pub and before the name changed to the Hawkins meeting House, containing Hawkins Bar in Buckwell Street, Plymouth. The Morris Minor has YJY 340 and the Cortina is SME 222F. The car in between those two is CAW 401K. For commercial use of this photograph please visit www.alamy.com and search for AORGY8 but for a one off print, please see below.